‘i cant believe we have signed Ronaldo’. Alongside this beautiful boyish enchantment is a more practical pondering, working in the shadows, and asserting itself when I come across Shaka Hislop talking of Juve as an ‘ageing squad’ or revolt against the foolish Craig Burley mentioning that Cristiano ‘might have 1 or 2 good seasons left in him’. I think of the goals, of his incredible physical fitness and exceptional determination. I think of the choices he could have made were he just seeking money or even to move to a club who would offer the same limelight but lacks the prestige, the history, the promise, the culture…of Juve. We have only sporadic form for buying established quality. Generally we were accustomed to bringing in players who excelled at lesser clubs, and seeing them improve on the big stage, yet times changed. We were coming from behind, and the return to the presidency of an Agnelli also brought forth the Marotta/Paratici tandem. They have worked supremely well to raise the sporting and commercial profile of the club, yet something was still lacking. We could not, it seemed, compete for the top players, for our financial clout was smaller than others with deeper pockets. The business model working well, many players signed for a shadow of the true value and success has blossomed, on and off the pitch. Yet what could we do to improve our market share and also claw with more zeal towards the one trophy eluding us? Ronaldo brings a financial conundrum, which I believe has been very well considered by our accountants and market experts. His commercial value will extend well beyond what we have invested. For he has already brought to the club millions of new followers, sold a staggering amount of shirts and sponsorship will continue to rise. Now many of these elements could and will lessen when he leaves, but some will stick. There is the value. Players will want to play with him, not just now, but during his entire contract. Fans will continue to grow, just to feel a part, some connection with, the greatest player who ever lived. Cristiano is a freak of nature. He has changed his game in recent years, moved from wide man flair merchant galactico to elite CF. His pace and finishing remain exceptional, as does his fitness and awareness of sniffing out goalscoring opportunities. His jumping is ridiculous, kangaroo cross man, alongside his athleticism. He is a massive upgrade on Higuain. He will win us more matches, inspire others in the ranks with his impeccable determination to win win win. He epitomises more than any other in the squad the will to succeed. And he will significantly improve our chances of finding our hands on the CL silverware. What he also brings is a definite need to change our style. Ronaldo does not like to do anything other than score goals and win trophies. He will not be suited, in any way, to defensive duties. Nor will he accept sitting back to defend a lead. We will have to change to suit and make the most of his supreme talents in the box. Which means that the signing of Can becomes ever more pivotal. For he will, I hope, allow Pjanic to operate with more freedom. Add in a Dybala with the bit between his teeth after criminal underuse at the world cup, little Doug who was looking world class in the second half of the season, and the battle between Bernardeschi and Juan for the remaining attacking spot and we look potentially…as good as any other elite side on the planet. Better than most. We signed powerful wingers last Summer and didn’t really start to see the best of them until the turn of this year. We have now signed the finest CF of this era, perhaps any era. The two go together perfectly. Yes yes! He is 33. Yet we are not talking of an ordinary player, nor merely a top class player. We are discussing a professional whose dedication to physical conditioning is renowned and verified. Rare and precious. Of course, we will need to manage him carefully given his age, but he scored close to 50 goals in his last season, in a top league and world cup, fighting for top honours for club and country. This is not an average 33 year old. He has a massive ego, but as I shared with Rav recently and a few others, he also comes across as loyal, decent, fun and engaging, when the right questions are asked by the right people in the right circumstances. And when speaking to my good chum Big Steve last week, an Englishman from work, a long term Man U supporter, by which I mean a true supporter, long before the internet drew in scores of ‘fans’ who know a team more from twitter and ‘likes’ than from following a side up and down the country through thick and thin on wet afternoons in Scunthorpe and Nottingham. Big Steve knows his football. He has that still glorious english grit, and is far more a traditional english football fan than the media would have you believe. 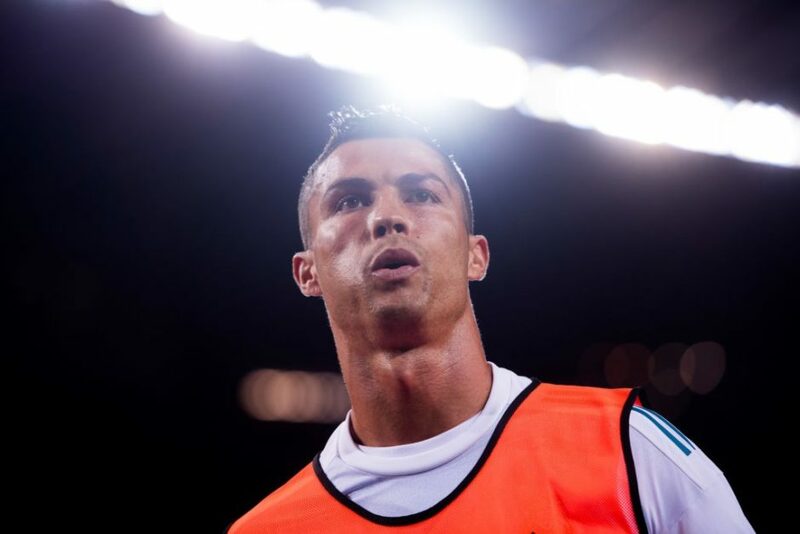 Pity those who follow the headlines without wondering of the source and agenda….yet back to the chat with a man who knows the game and knows Ronaldo…He pretty much told me to enjoy him. Laughed at the suggestion that he is too long in the fang. And was not jealous, but happy, to see a fellow fan of the old school passion of football, have the best player the world has ever known in the ranks. Cristiano could, wont definitely, but could and should, transform our prestige, our potential, our standing in the game and our sporting potential. There is risk. Yet I admire always, those willing to risk everything to gain everything. Its romantic. The move represents the club understanding the modern game and pouncing with carefully considered ambition on a wonderful opportunity. It comes as a welcome surprise to learn that it was the player, not the club, who sparked this bizarre journey. For a player who has already raised awareness and focus upon not just Juve, but Serie A. No surprise that many other clubs in Italy are praising our work. As they should, for it all trickles down to their own organisations. The huge increase in interest far and wide is something which we should all be so proud to feel a part of. The ambition of the club, the determination of the player who remains hellbent on making history, time and time again. The work of our President, flying out to Greece to seal the deal. All of this confirms that we are returning to the elite, through diligence, hard work, high quality business modelling and steady success on the field. He chose us. And we responded to make the move happen. We can ask nothing more of the club, for they are giving us everything both within the realms of the probable and deep within the realms of fantasy.